Pioneers in the industry, we offer polypropylene rope and manila rope from India. 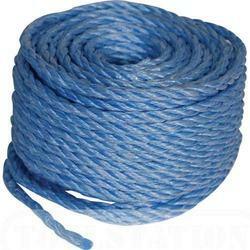 We have earned a sterling reputation in the industry for wholesaling and trading Polypropylene Rope(Blue Rope). The offered rope is resistant to wear and tear as made from high quality of polypropylene. It is tolerable to weathering and is used for lifting heavy loads and dragging goods at various industries. Our products are sourced procured by experienced procuring agents and checked for quality assurance as well. 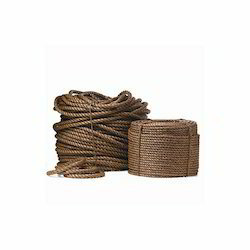 We are among the prominent wholesalers and traders of Manila Rope, which is regarded for being excellent in strength. It is made from high quality of polyester and polypropylene for serving a long time period. The offered rope has a high melting point and is resistant towards ultra violet rays and chemicals. It is used for forming tug-line and lifting heavy loads in industries. Looking for Multi Purpose Rope ?